Not that long ago, the phrase “Christmas cards” meant only one thing – a holiday image on the outside of a folded card with touching text inside. That was, of course, before the days of electronic greeting cards. Now “old-fashioned” paper Christmas cards are not always the greeting of choice during the holidays, but they still offer recipients an experience you can’t get with an emailed greeting – and options you couldn’t get with the standard paper Christmas cards of yesteryear. The Internet makes it easy and create great paper Christmas cards that exceed the standard cards you’ll find at your local Wal-Mart. Here are a few places to shop online for great printed holiday greetings. PhotoWorks has a wonderful selection of photo Christmas cards. In addition to traditional photo card designs, they also offer many unusual Christmas cards you won’t find elsewhere, such as tri-fold and oversize cards that can include your Christmas letter printed as part of the card and punch-out cards that can also double as Christmas ornaments. 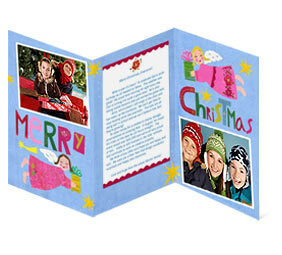 Gallery Collection offers hundreds of traditional paper Christmas cards for both business and personal use. They have a great selection of holiday images on their cards, though you won’t find any of the popular photo Christmas cards here. They can customize your cards with your own printed message for a personal touch. This site only sells cards made of 100% recycled Forest Stewardship Council (FSC)-Certified card stock (50% post-consumer waste) and pairs them with 100% recycled envelopes manufactured with 100% post-consumer recovered fiber. They then send their eco-friendly cards with 100% recycled labels and recycled shipping materials, and they offset their carbon footprint through Greenshipper. If you want to celebrate a green Christmas, this is a good place to shop. The wonderful thing about CardStore.com is that they make your card mailing easy. For a very small fee, they will send cards out for you. Yes, they do the hard work! 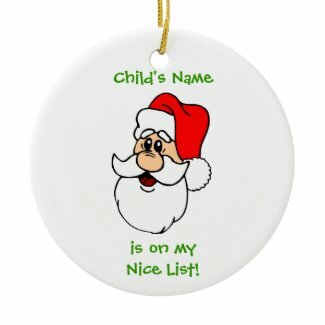 You simply need to sort through hundreds of great card designs and place your order. Paper Christmas cards not only help you send a note and greeting for the holidays, but they give recipients something to hold onto and look at for the entire season. There’s something about the texture and the smell of paper that cannot be replaced with an e-card or phone call. They may be old-fashioned in this new-fangled digital world, but they’re still in style.